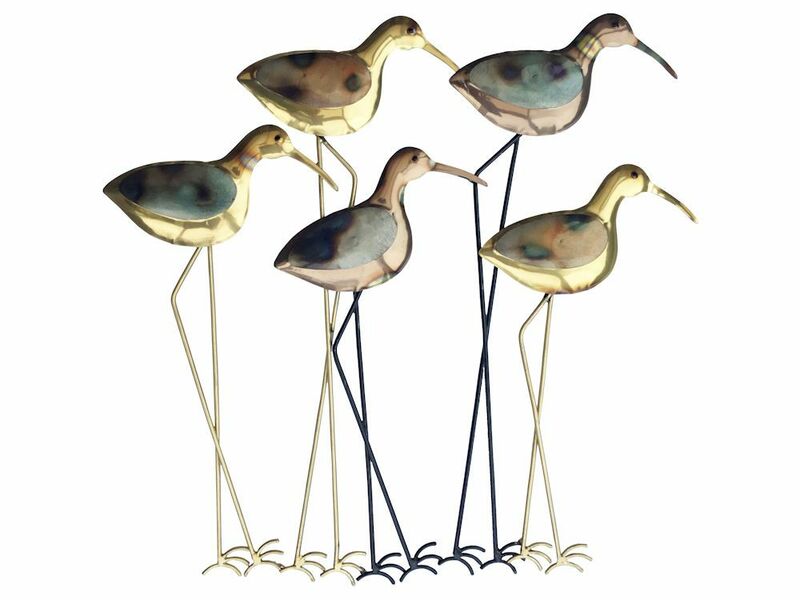 This gorgeous metal wall art captures the beauty of long-legged wader birds and puts a glamorous twist on a coastal theme. With accentuated long legs finished in black and silver, the burnished blue and golds on their bodies reflect light to create an aptly watery feel. Gorgeous metallic tones give the wading birds wall hanging the look of luxury, while mimicking the beautiful colours of nature.